The battle is on for the two top spots of the 2016 Vodafone Premier League. The two teams will then qualify to play in the OFC Champions League. 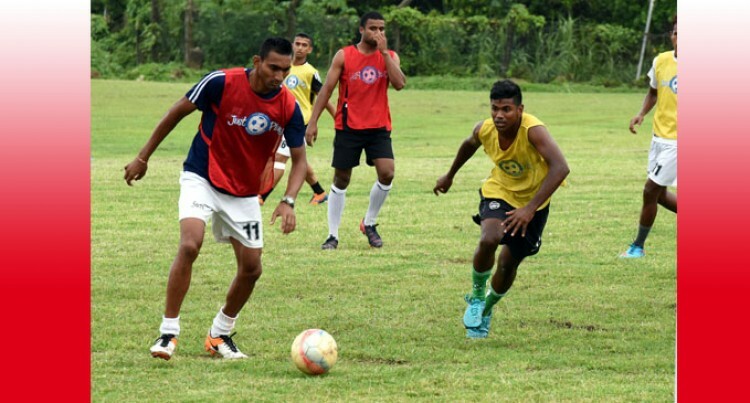 Ba continued on with their dream run as they thrashed Nadroga 6-0 at Govind Park, Ba. And tonight sees another epic battle when Suva take on archrivals Rewa, at Ratu Cakobau Park, Nausori, at 7.30pm. Yesterday, Suva Football confirmed the appointment of Ravindra Singh and captain Pita Rabo as their interim coaches after coach, Gurjit Singh resigned last week. Suva Football president Mahendra Prasad said while it would take a lot to fill in the huge gap that Singh has left behind, he is confident that the interim coaches can do the job. “It is a big loss for Suva,” Prasad said. “Gurjit Singh was a good coach and he brought a lot of pride to the team and made Suva fans happy. On the Vodafone Premier League clash, Prasad says, he is confident the interim coaches will do a good job in keeping the team on track. Prasad said they are calling on their fans to support them at Ratu Cakobau Park, Nausori, tonight in this most crucial clash. “We will need Suva fans to turn up in large numbers and it will boost our players to go the extra mile. “This Suva team belongs to the people of the Capital City and it will be difficult for us to win if we do not have their support.